What motivated recent cyber attacks? How did the malware work? Who fell victim to it and why? By examining modern cyber criminals and their weapons of choice, you can develop solid strategies to combat them. 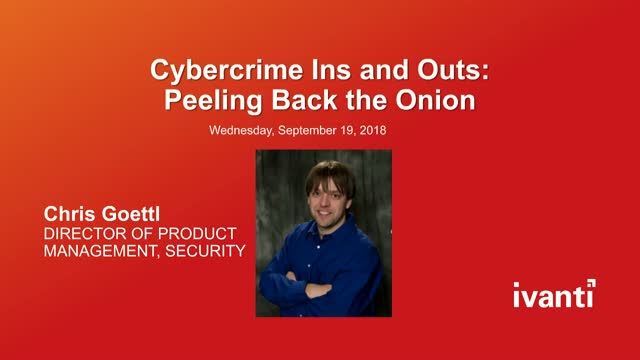 Join Ivanti expert Chris Goettl, Director of Product Management for Security, as he talks WannaCry, NotPetya, SamSam, and more, and looks at what these attacks mean for you. - What methods, tools, and entry points were used? - What does this tell us about your organization’s soft underbelly? - How should this impact your multi-layered security strategy? - How can you quickly protect yourself from most attacks today?